For anyone who has ever travelled on trains in Britain recently, it’s quite difficult to see how inspiration for one of the most popular series of our time came while J K Rowling was sat on one. Was she not distracted by the screaming children? Or more concerned about whether or not she was on the right train? And perhaps most importantly – how did she get a seat? Somehow, she battled through all this to begin writing her book. 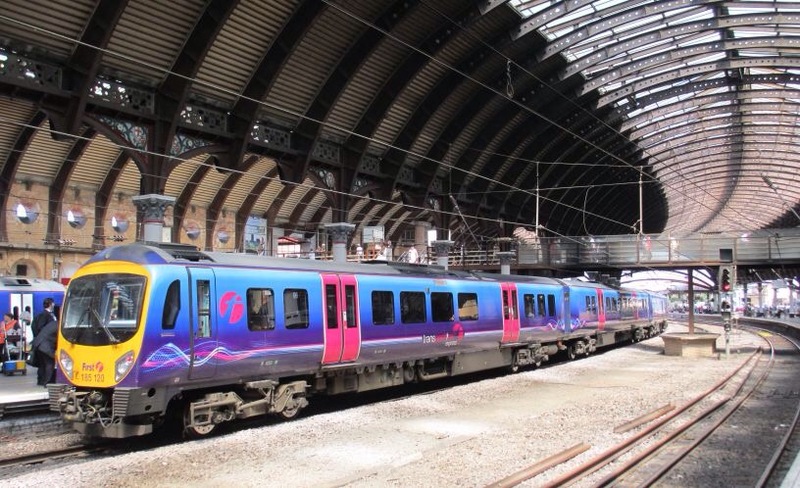 Granted, the Hogwarts Express is a more romantic and inspirational image than the trains we have today- to the best of my knowledge, no-one has ever written a poem about a First Transpennine Express (if anyone has or ever does, I’d be more than interested to read it). I spend much more time than I would like to on those trains- it takes three hours to get to my hometown from university- and as such, I think of myself as something of an expert on the types of people you find on trains. So while I’m not suggesting that your journey on a First Transpennine Express (or any generic commuter train) is certain to lead to you writing the next Harry Potter, it could help you come up with the basis for some characters. After all, there’s only so much staring out of the window that you can do. If you travel on trains often enough, and can stop staring determinedly at a wall to avoid eye contact long enough- you’ll notice you always see the same kind of people on trains. A student working (or a teacher marking, though rarely both), middle-aged women with those tiny glasses of wine with tin lids (which you will inevitably wonder why you don’t have), business men on phones or impossibly thin laptops (how do those not break?) and many more. So when you see these people, you have a basis for a character, and all you need to do is flesh them out a little. As people rarely talk to others on trains (and those who do are their own stereotype ‘the person who talks on trains’) you can’t be sure exactly what, for examples sake, the business man is doing. We know he’s a business man because he fits the stereotype, but what kind of business? How was his day at work, what happened there? It doesn’t matter if you’re wrong in your assumptions, it’s just a game that creates your character, and soon you will have enough inspiration to write about them. Commuting on a train can be boring and lonely at times, and so I hope this has given you some inspiration for something to do on those journeys- it makes for an interesting writing excercise if nothing else. Thank you for reading- and good luck with your writing! Love the idea of finding inspiration on public transit 🙂 I like people watching and I occasionally do find ideas for characters by observing others, or through casual interactions with strangers. This is definitely a great way to pass time and to get something done! Thanks for sharing.